Stove expert replied: If the throat plate fails quickly, it may be that you have a strong draw that is making the stove work hard. If the stove does not appear to be very controllable this would be worth checking more thoroughly. 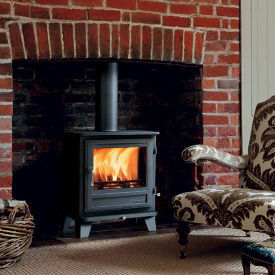 Stove expert replied: Fair review of this stove. Stove expert replied: Overnight burning is not generally recommended as glass will become discoloured. Clean with short periods of fast burn or a cloth dipped in woodash.